Face it, times have changed! This economy is different, your customers demand more, and competition is fierce. To succeed you need a new approach — a new strategy to put you on the road to success. Join us for the Secrets to Success podcast, a show designed to not only give you answers, but one that takes the guess-work out of how to make this economy work for you! Join Meridith Elliott Powell, coach, speaker, author and your host, as she interviews today’s successful entrepreneurs, sales professionals and business owners and gets them to reveal their secrets on how best to navigate this market and put you and your business on top! High-energy, high-impact and highly motivating, that is Meridith Elliott Powell, founder and owner of MotionFirst. An internationally certified coach, speaker, and business development expert, Meridith is known in the industry as a catalyst and someone who makes things happen! As an award winning business owner, Meridith’s unique background includes high-level leadership and executive positions in sales, marketing and finance. Her signature style and her ability to rapidly connect with people make her a sought-after speaker, coach and strategist. 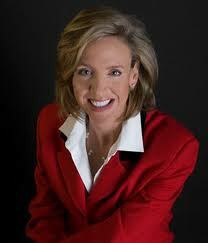 She is the author of two books: 42 Rules to Turn Prospects Into Customers, and Mastering the Art of Success. She is currently working on her third book, Winning In The Trust & Value Economy, due out in early 2013. Meridith’s clients rave about her ability to consistently combine high-quality content, audience engagement and serious fun! Renowned for her gifted and charismatic speaking style, she is a highly requested speaker who makes an impact. With expertise in the fields of business development and leadership, Meridith shares the secrets people need to know to Plug Into The Power of Connection and move their businesses and their lives to profitability. Meridith is also an internationally certified coach and strategist who helps her clients master the technical and relational skills needed to be successful in today’s competitive environment. 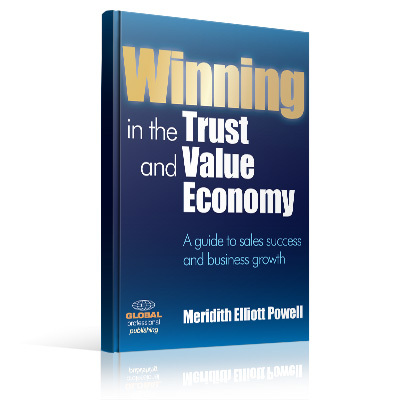 Winning In Trust & Value Economy – Available in early 2013 on Amazon! About to record a Secrets to Success Podcast hosted by Meridith Elliott Powell – will post a link to the show later! Excited to be on the show later today. Excited to be on the show on Feb. 4th with Meri. Join me in welcoming Meridith Elliott Powell to the Network. I can’t wait to listen to your shows – you’ll have much to share about the secrets to success to our listeners!